Voted number one in the Cleaning Category of the Top 500 Companies, Bidvest Prestige Cleaning is the leading contract cleaning specialist in South Africa. 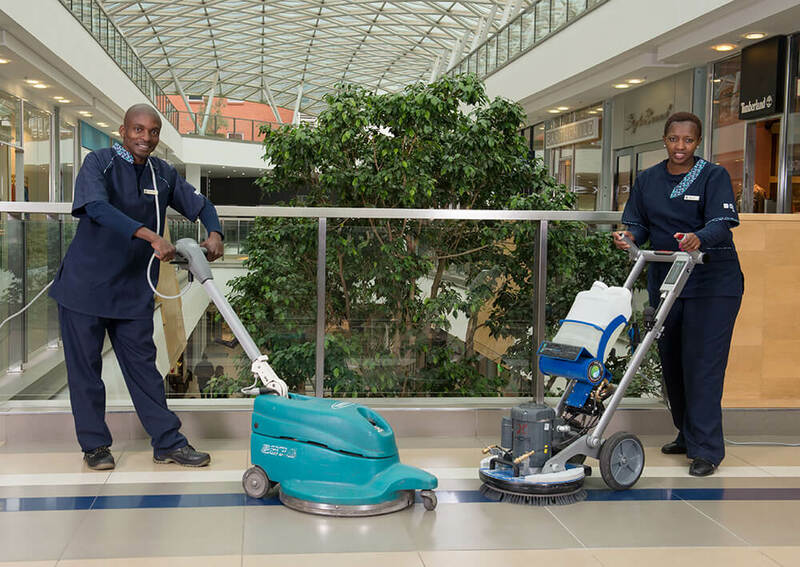 With over four decades of experience and professionally trained staff, Bidvest Prestige is uniquely positioned to deliver tailored cleaning services anywhere in the country. Bidvest Prestige Cleaning has a proud legacy of serving a broad cross-section of industries including, but not limited to the commercial, retail, hospitality, education, healthcare, industrial, mining, auto care and food hygiene sectors. We are a founding member of the NCCA and the Green Building Council and offer HACCP qualified specialised cleaning solutions. Bidvest Prestige is also certified by the Institute of Working at Heights and SABS ISO 9001. You can trust that your business is in safe hands at all times. Click on an industry to view our specific service offerings. Bidvest Prestige offers specialised commercial cleaning services across all sectors. Teams can work day or night shift, depending on your requirements. Bidvest Prestige Food Hygiene Division offers HACCP qualified specialised cleaning solutions for the Food & Beverage Industries, offering expert cleaning of food factories and processing plants. The Hygiene Division services all areas of food and beverage production. Bidvest Prestige is a leading provider of specialist contract cleaning services to major retail centres across South Africa. Our staff are trained to perform their duties with the utmost attention to detail – even when working in high-traffic areas. We also train our personnel to engage with the public in a professional and discrete manner. Day and night shift staff are available based on your requirements for a complete 24-hour solution, seven days a week. Bidvest Prestige Healthcare Division specialises in cleaning solutions for hospitals, clinics, retirement villages, frail care centres, crèches, medical practices and pharmaceutical facilities. We offer day and night shifts, seven days a week. Our staff receive ongoing training through our SETA accredited Training Division and our qualified management teams are always available on and off site to ensure service excellence at all times. The Industrial Division of Bidvest Prestige offers specialised cleaning services to the mining industry. With highly trained staff and all the necessary equipment and resources. The Industrial Division of Bidvest Prestige offers specialised cleaning services to the mining industry. With highly trained staff and all the necessary equipment and resources, we ensure cleaning needs are met. Bidvest Prestige Industrial Division offers specialist cleaning solutions for factories, warehouses and offices. Our staff are expertly trained to work in any industrial environment, in line with all safety and hygiene standards. With a wealth of experience, we are able to tailor our cleaning solution based on the specific needs of the client. Bidvest Prestige provides cleaning solutions for schools, universities, campuses and colleges. As an SABS ISO9001 accredited organisation and a member of Green Building Council, we maintain high cleanliness and hygiene standards – ensuring the people and environment are in good care. The Bidvest Prestige Auto Care Division employs over 500 people and services 57 dealerships/sites, cleaning in excess of 57 000 vehicles per month. Through our extensive experience and leading-edge technology, we are able to tailor our solution for our clients’ specific needs, offering competitive pricing while maintaining the highest quality standards. Our specialists are also available to work on-site and are comprehensively insured. We also offer advanced waterless cleaning solutions, enabling us to wash cars anywhere – even on the showroom floor. Our Waterless Cart reduces water usage by 70%. As part of our waterless solution, our teams use Carnauba Wax – giving cars a superior finish. It’s biodegradable, completely natural and can be used on all surfaces without leaving a residue. Carnauba Wax is paint-tested and approved by BMW. Bidvest Prestige is able to offer customised cleaning services for a vast range of industries and applications countrywide, in addition to our services by industry. Please contact us to discuss a tailored cleaning solution for your needs. Looking to use our services?